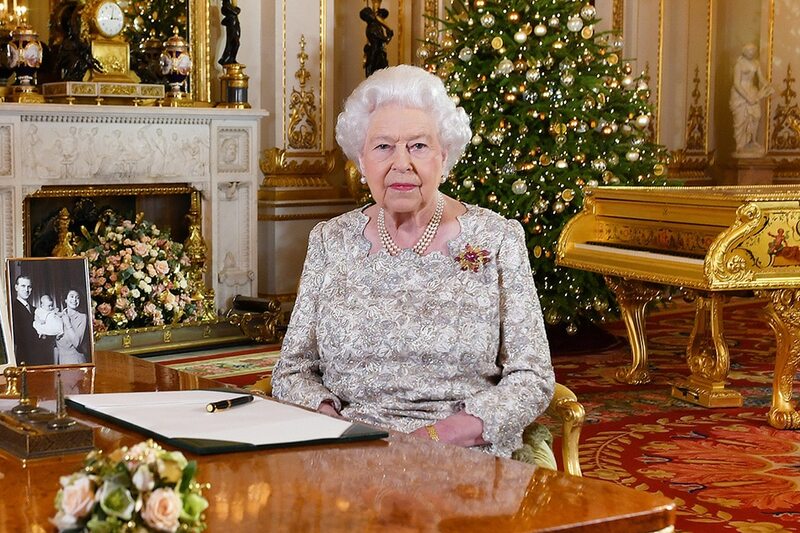 LONDON -- Britain's Queen Elizabeth will say in her Christmas message that the festival's message of peace and goodwill needs to be heeded as much as ever, and people should respect each other even when they harbor the most deeply held differences. According to excerpts released by Buckingham Palace on Monday, the 92-year-old monarch will also speak of family and friendship following a year in which her grandson Prince Harry married US-born actress Meghan Markle. Throughout her record 66 years on the throne, the queen has avoided commenting in public on contentious international affairs or party political issues, and the excerpts make no mention of the visit in July by US President Donald Trump or the turmoil over Britain's departure from the European Union. But speaking about the birth of Jesus, she will say: "I believe his message of peace on earth and goodwill to all is never out of date. It can be heeded by everyone; it's needed as much as ever." "Even with the most deeply held differences, treating the other person with respect and as a fellow human being is always a good step towards greater understanding." Before leaving Britain for a summit with Russian President Vladimir Putin, Trump breached British royal protocol by publicly disclosing the details of a conversation he had with the queen about the complexities of Brexit, an issue that has divided the nation. Trump's trip to Britain was marked by public protests and downgraded from a full state visit that Prime Minister Theresa May had originally proposed. However, he took tea with the queen at Windsor Castle. Trump later described the monarch, who has met 12 US presidents, as an "incredible woman" who was both "sharp" and "beautiful." She has shown little sign of slowing down in the last year, during which Harry and Meghan's wedding marked another royal step towards modernity, with a ceremony that blended ancient English ritual with African American culture. "Through the many changes I have seen over the years, faith, family and friendship have been not only a constant for me but a source of personal comfort and reassurance," she will say. Another grandchild, Princess Eugenie, also married this year and the queen's sixth and seventh great grandchildren were born, while she made her debut appearance on the front row of a fashion show. She also led British and Commonwealth tributes to the soldiers of World War 1 on the centenary of the signing of the Armistice that ended it in 1918. The queen wore a cocktail dress in ivory silk with pastel blue, white and gold lame overlay designed by Angela Kelly for the broadcast, which was recorded in the White Drawing Room at Buckingham Palace. She is spending Christmas as usual at her Sandringham Estate in Norfolk, eastern England, where she will be joined by other members of the Royal family.